OKRs stands for Objectives and Key Results. It is a framework of defining and tracking objectives and their outcomes. Its main goal is to define company and team “objectives” along with the measurable “key results” that define achievement of each objective. One OKRs book defines OKRs as “a critical thinking framework and ongoing discipline that seeks to ensure employees work together, focusing their efforts to make measurable contributions.” OKRs may be shared across the organization so that teams have visibility into goals across the organization, helping to align and focus effort. 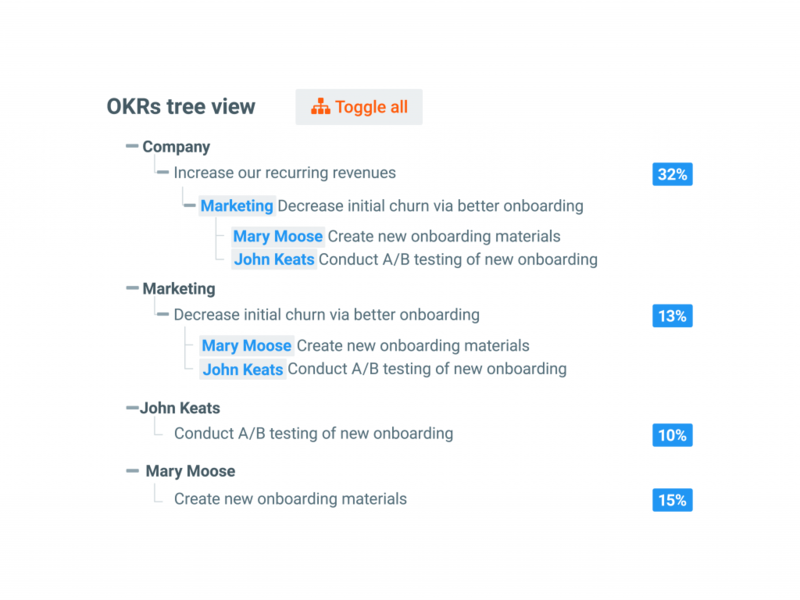 What’s the simplest way to get started with OKRs? The easiest way to get started with OKRs is to start using them. There are a lot of resources you can read and watch before, but to understand how they work, they need to be tested on your team. Moonshot or stretch goals are goals that seem impossible to achieve. They should force teams and individuals to rethink how they work and take you out of your comfort zone. They should make everyone involved wonder, how far you can go. Key results measure how far from reaching your objective you are. It adds metrics to objectives. The easiest way to set Key Results is to follow the SMART model. What’s the history of OKRs? When and how did OKRs get started? No. 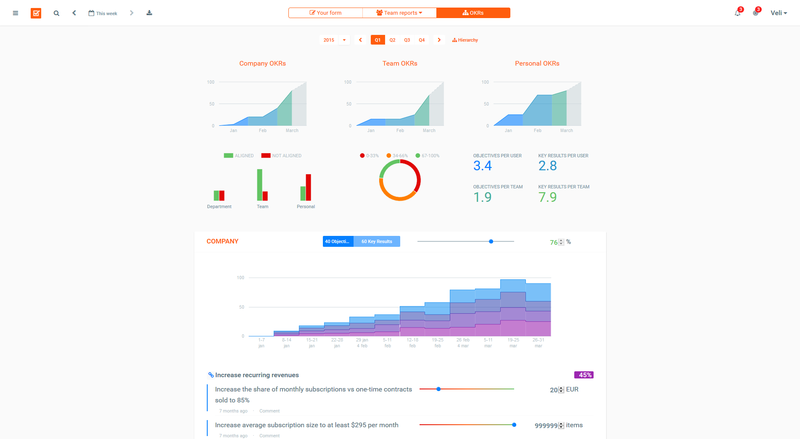 OKRs can be implemented in a company of any size. The core principles of the methodology (Objectives with measurable Key Results) can be scaled for one person or for huge companies. Is an answer missing from Introduction to OKRs? Ask our OKR experts any question about Introduction to OKRs.